The UK has signed a multi-billion pound contract which will double its F-35 fleet, the country’s defense secretary has announced. The deal will see Britain own 35 stealth jets by the end of 2022. Defence Secretary Gavin Williamson confirmed that the UK has ordered 17 new F-35B aircraft which will be delivered between 2020 and 2022. Overall, Britain has committed to buying 138 aircraft over the life of the program. The UK is the largest operator of F-35s outside the United States. 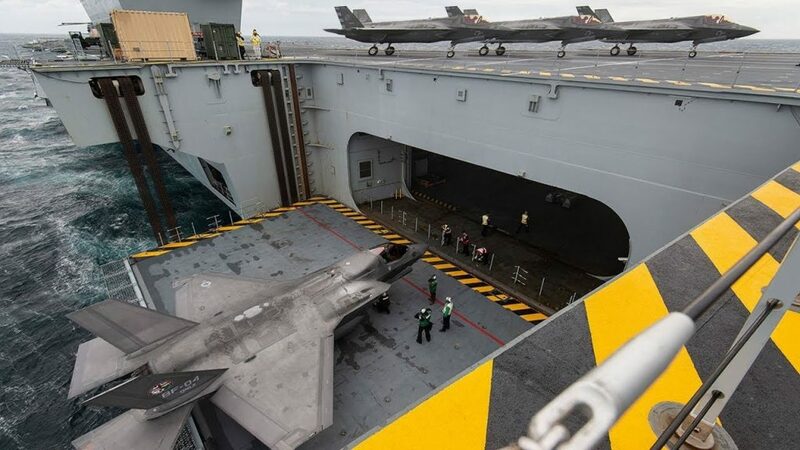 The announcement comes as existing British F-35B aircraft are currently traveling to the US on the HMS Queen Elizabeth, where they will take part in flying trials. Meanwhile, F-35s aren’t the only new additions the British military is looking to acquire, according to the anti-drone campaign group Drone Wars UK, which recently claimed the government has been secretly funding research on autonomous “killer robot” drones. The Ministry of Defence, however, has denied that there are plans to develop any systems that would operate without input from humans.